MANILA, Philippines - A “prolific” meteor shower is expected to light up the skies of Asia and Europe for two days – tonight (Nov. 17) and Wednesday (Nov. 18), the government-run weather bureau Pagasa said yesterday. Here in the Philippines, Pagasa administrator Prisco Nilo said Filipinos will get a glimpse of the meteorological phenomenon known as the “Leonids” meteor shower between 11 p.m. and 6 a.m. of the following day. “We have a very good chance to see the meteor showers,” Nilo said. He, however, stressed that people in the Visayas and Mindanao will have a difficult time seeing the meteor showers because of the intertropical convergence zone which is expected to bring scattered rainshowers this week. Following up on a tip by an amateur astronomer that a new dark "scar" had suddenly appeared on Jupiter, this morning between 3 and 9 a.m. PDT (6 a.m. and noon EDT) scientists at NASA's Jet Propulsion Laboratory in Pasadena, Calif., using NASA's Infrared Telescope Facility at the summit of Mauna Kea, Hawaii, gathered evidence indicating an impact. Orton and his team of astronomers kicked into gear early in the morning and haven't stopped tracking the planet. They are downloading data now and are working to get additional observing time on this and other telescopes. 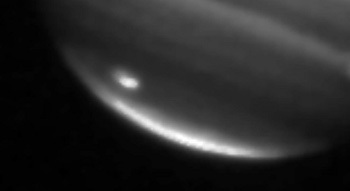 This image was taken at 1.65 microns, a wavelength sensitive to sunlight reflected from high in Jupiter's atmosphere, and it shows both the bright center of the scar (bottom left) and the debris to its northwest (upper left). "It could be the impact of a comet, but we don't know for sure yet," said Orton. "It's been a whirlwind of a day, and this on the anniversary of the Shoemaker-Levy 9 and Apollo anniversaries is amazing." Leigh Fletcher, a NASA postdoctoral student at JPL who worked with Orton during these latest observations said, "Given the rarity of these events, it's extremely exciting to be involved in these observations. These are the most exciting observations I've seen in my five years of observing the outer planets!" 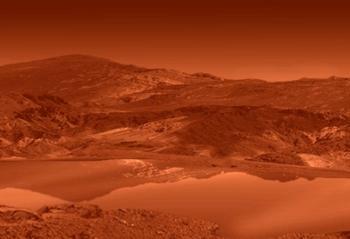 Earth has a hydrological cycle based on water and Titan has a cycle based on methane. Scientists ruled out the presence of water ice, ammonia, ammonia hydrate and carbon dioxide in Ontario Lacus. The observations also suggest the lake is evaporating. It is ringed by a dark beach, where the black lake merges with the bright shoreline. 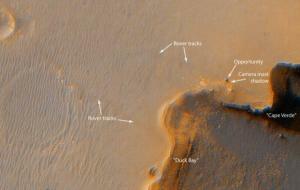 Cassini also observed a shelf and beach being exposed as the lake evaporates. "During the next few years, the vast array of lakes and seas on Titan's north pole mapped with Cassini's radar instrument will emerge from polar darkness into sunlight, giving the infrared instrument rich opportunities to watch for seasonal changes of Titan's lakes," Soderblom said. A relatively large asteroid, estimated to be at least 500 feet in diameter, but possibly as much as 2000 feet in diameter, will pass close to Earth on the evening of January 29, 2008 at an estimated distance of only 334,000 miles away! Here's what you need to know. Don't worry, this asteroid WILL NOT hit Earth, but it provides a great segue into the science involved in the phenomena of asteroid and comet impacts, and how they can completely change the Earth and its thriving civilizations of humankind. I'll get into that later, but for now, look at AOAS Interim Vice President Leonard Lynch's article Earth Impact Craters, my past article on Japan's asteroid mission Hayabusa - The Japanese Asteroid Sample Return Mission, and then here's the NASA article regarding this event, a link to the NASA site where its located, and a second link to the JPL site of Near-Earth Object searches and their article on this upcoming event. When we look at Earth's Moon, as well as NASA photos of Mars, Mercury, the moons of the outer planets, and asteroids such as Eros, the most obvious surface features are impact craters. From our backyards, even with the smallest of optics, we can readily observe many thousands of craters on the Moon's surface. These craters range from the size of city blocks to several hundred miles in diameter. The age of the Moon has been estimated to be approximately 4 billion years, based on the lunar samples brought back by the Apollo astronauts. 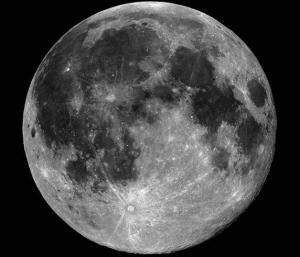 Throughout the lunar life span the Moon has been a cosmic target by millions of rocks and pieces of ice — from a size smaller than a grain of sand to asteroids many miles in diameter. But has the Earth been hit? Of course, the answer is YES. It's well known that there is a constant fall of debris entering the atmosphere of our planet every day, with most particles as fine as dust, but some are as large as a basketball. From time to time, larger chunks enter our atmosphere and are large enough to survive the plunge. These actually strike the surface of the Earth. Recently, one such meteorite made worldwide news, after it struck in northern South America. 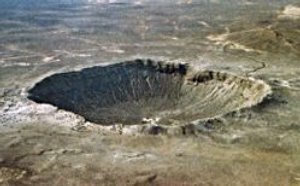 Luckily, there were no casualties, and the damage was limited to a small crater. There are almost monthly reports of meteorites, fire balls, or bolides. A bolide is a bright meteor that usually burns up in the atmosphere, but on rare occasions, they do strike the Earth's surface. In astronomy, there are all kinds of alignments. Every month our moon crosses a point in space when a straight line exists between the exact centers of the Earth, the center of the Moon and the center of the Sun. It actually does this twice each month, and the terms we use to describe that magical moment, that certain exact moment in time when the centers of all three come into a perfectly straight line is called Full Moon and New Moon, depending on which side of Earth the Moon is located. There are also alignments between the planets of our solar system and our Earth and the Sun, too. This is the subject for this article, and those alignments are known as OPPOSITIONS and CONJUNCTIONS. Its a challenge to describe these terms accurately and succinctly so that the definitions are easily understood, and I'll do my best to help you reach a comprehension of just which is which, and what is what. The moment of an opposition, or a Full Moon, or a conjunction for that matter, are all a split second in time, and technically, you could pin it down to a nanosecond in time, when every nanosecond until that special one and every one after that special one is either leading up to that point in time or it is receding from that point in time. While it is true for every object in the solar system, its the times of the Full Moon and New Moon that are the most obvious due to the moon's rapid movement through space. But when this happens with the planets of our solar system, it is either an opposition, or a conjunction, and these are totally different from each other. I admit to some confusion about these terms when I was a younger student of astronomy, and I hope to help my readers with their own misinterpretations of these terms. We have to start with one of those moments in time when the exact centers of Earth, our Sun and the center of one-or-another particular superior planet can also form that perfectly straight line. We call THIS special moment in time, OPPOSITION! It is ONLY when a SUPERIOR PLANET lies opposite the Sun in the sky as seen from Earth that is called an OPPOSITION. The Superior Planets are those beyond Earth, and asteroids are also included in this group. The key thing about this is that all these astral bodies are FARTHER away from the Sun and that's what puts them in that position where they can lie OPPOSITE of the Sun as seen from Earth. FULL MOON - An exact point in time, indicating an exactly straight line between the centers of Earth, Moon and Sun. Picky, picky, picky, right? Well, a little bit. But this is something that most people do NOT completely realize nor fully understand. You have to get it in your head that the solar system, every object in our solar system is in constant motion either in orbit around our Sun, or around one of the planets. For a society that is at times very picky about when an exact moment in time is, we don't think to apply this concept to the terms Full Moon, New Moon, or opposition. Indeed, studies have shown that most people think that Full Moon is several days in length, and up to 3 or 4 days either side of that actual special instant in time. I make such a fuss over this because tonight is June 5, 2007, and Jupiter reaches "opposition" this evening at exactly 6:00pm CDT. That's according to Astronomy magazine, which is a publication that understands the importance of getting it correct. Most of the science of astronomy is also that picky since mathematical models and formulas depend on it. When any PLANET comes to opposition, that also happens to be the time when that object is closest to Earth for that particular apparition, or for that year. For Jupiter the distance is half-a-billion miles away. Next year, the date of opposition for Jupiter will be on a different day than it is this year, and at a different instant in time. Click Read More for more information on OPPOSITION. 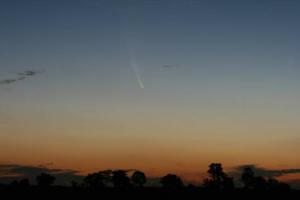 AOAS' own comet expert, Mike Holloway, has been following the latest visitor to the inner solar system known as Comet C/2006 P1 McNaught over the past several months. It is only rarely that we are treated to a comet which becomes a real spectacle as it makes its closest approach to the Sun, and Comet McNaught is certainly now a spectacle. 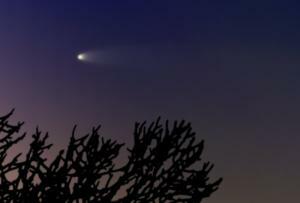 The last comet that was this spectacular and sported several similar aspects to McNaught was Comet West in March 1976. While we won't be able to see this comet's grand finale as it has now switched to the southern skies, there are plenty of experienced amateur astronomers in the southern hemisphere. Here are the images from Mike Holloway's newly restored Holloway Comet Observatory as McNaught came into prominence for the northern observers, and also the work of Australian astronomer Vello Tabur detailing this comet's unexpectedly exciting apparition for southern observers. Mike Holloway imaged the bright comet C/2006 P1 McNaught near the horizon north of Van Buren on January 8, 2007. It had only recently been characterized as the brightest comet in 30 years. It may only happen every 30 to 50 years. Either a new or a long-period (200+ years between apparitions) comet returns to the inner solar system and brightens to a level so bright that they can sometimes be seen even in broad daylight! New comet C/2006 P1 McNaught has become the first comet to reach this level of brightness in at least the past 30 years. Our own AOAS comet photographer has been watching and imaging McNaught for the past few months, and occasionally sending me an email expressing his suspicions that this one would be especially bright. It was my own fault for not listening to Mike before the first of 2007, but I'm now a true believer. On January 11, I was at the Git-R-Dun laundromat on Logtown Hill in Van buren, AR, when I started watching for the comet as the Sun set below the horizon that evening. Without any trouble at all, I could see it in considerably bright twilight, even the tail stretching up and curving to the right of the nucleus. I asked everyone in the laundry at the time to come and see, and all but two were also able to see it without optical aid. That's a fairly profound thing to someone like myself who has seen a number of comets in the last 22 years, but I've never seen one anywhere close to that bright ever before. My only disappointment was the knowledge that when the comet was to be at its brightest a few days later, it would by then be below the horizon for all northern hemisphere observers making that sighting my only view of the comet. Australian astronomer Vello Tabur imaged comet McNaught on January 19th with an impressive tail sweeping away to the north of the comet's nucleus. For northern hemisphere observers and comet chasers, the show from comet C/2006 P1 McNaught is over. Our luck just didn't pan out this time. It happened similarly for southern hemisphere observers for comets Hyakutake and Hale-Bopp in 1996 and 1997 respectively. Then it was we who had the show of a lifetime, while our southern counterparts only saw the later remnants of those two comets. All of us who were able to see those comets will never forget their appearance, just as southern astronomers will likely never forget this appearance of Comet McNaught. Click read more for the BEST images and for links to images of other exceptionally bright comets in the (relatively) recent past. NASA's Cassini spacecraft in orbit around Saturn since January of 2005 has taken yet another dramatically important image of the Ring World. Who could have forseen this wonderful image taken as Cassini moved through the shadows of the Saturnian night looking back at both the Sun, and our own Earth! Its a sort of over-the-shoulder image taken by Cassini's camera's as the spacecraft sped through the darkness of Saturn's night side and looked back beyond Saturn towards the Sun. The outermost diffuse "E" ring is the newly discovered ring created by water ice spewing from the ice-fountains of Saturn's moon Enceladus. 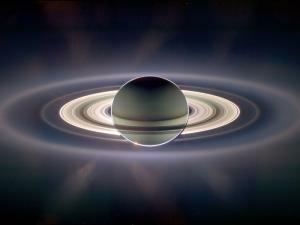 Saturn's beauty is seen anew at almost every orbit around the Gas Giant turned in by the robotic Cassini spacecraft. Giovanni Cassini was the first to discover a gap in the Rings of Saturn with a telescope dividing them into the wider inner ring and the narrower outer ring. This gap is named the "Cassini Division" in honor of him. How fitting that the spacecraft that bares his name should have discovered the newest "ring" of the system created by the orbiting moon Enceladus as its water-ice fountains spew their material into space along its orbit. This image comes from the Astronomy Picture of the Day (APOD) for October 16, 2006. CLICK HERE to see the image in larger and finer detail. By doing so, you'll also see a small dot just above the bright rings and slightly inside the narrowest sharp ring. It can easily be mistaken as one of Saturn's 35+ moons, but in reality, that's you, on Earth, that Cassini is looking back towards! For continuously changing updates on the Cassini mission to Saturn, go to the Cassini Home Page and consider making it one of your "Favorites" or mark it with a "Bookmark", depending on your browser's home page. Check it once or twice a week to see all the newest images and science discoveries at Saturn's distance of roughly 750,000,000 miles from home. Or you might want to review all of our AOAS website stories about Saturn and the Cassini/Huygens mission to the Ring World by clicking on the "Lunar and Planetary" section. This allows visitors to pull up our entire listing of stories about Mars, Saturn, Jupiter, as well as any recent comets and/or stories about asteroids. It's still two more years before Cassini's original mission comes to its end, yet due to the spacecraft yielding SO MUCH data over the 4-year life span of the mission, we will likely see another 2, or maybe even another 4 years added on to the mission. One thing is almost certain, someday we will have another return trip to Saturn with an even more "magically" sophisticated and wonderous spacecraft giving us even more info on this beautiful planet. What new wonders will await us then? 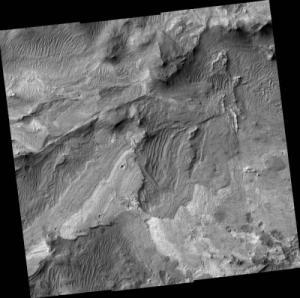 With its very first pair of images, NASA's newest mission to the Red Planet has made history and prepares for a mission to set new standards for robotic planetary exploration. The Mars Reconnaissance Orbiter (MRO) has used its ultra-high resolution camera to "see" the Mars Rover "Opportunity" on the surface from an altitude of about 180 miles, and its just gonna keep gettin' better and better from here on! If you haven't been actively watching and reading about the MRO mission to Mars, much of what we're about to start hearing and seeing about this mission will seem almost fantastic to the masses. If you have been watching and waiting, you're anticipation is extreme. 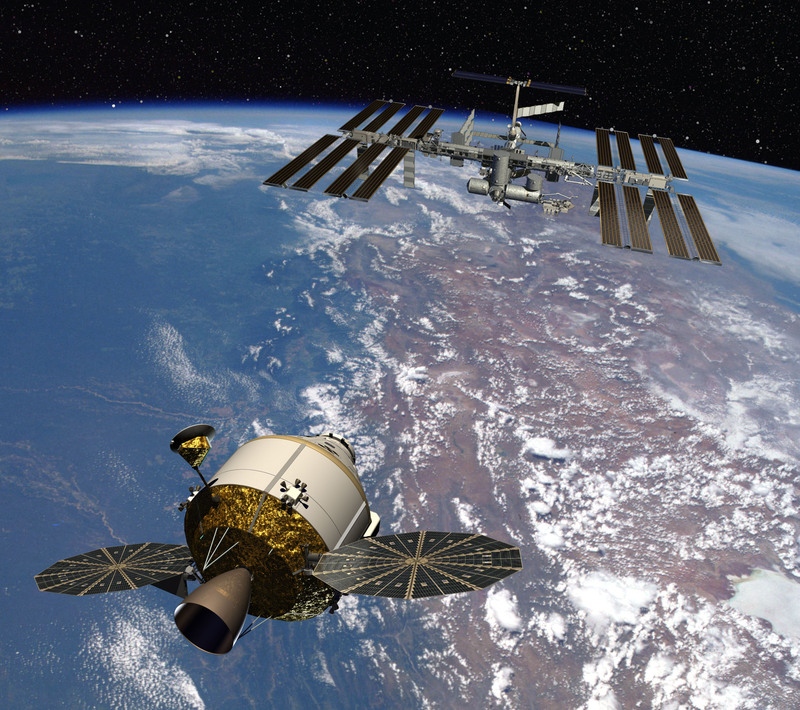 Never before have any cameras on an orbiting spacecraft seen so clearly and sharply. Objects as small as a shoe are capable of being seen from this craft's operating altitude of approximately 180 miles above the planet surface. This week, NASA has taken and released one of the most famous pictures of recent memory. In order to show off a bit of what MRO is capable of, and to really test out just how powerful their newest "toy" is, operators have imaged the Mars Rover Opportunity at its winter station on the slopes of Victoria Crater, complete with wheel tracks and the shadow of the camera mast in clear detail! Above-left is the entire picture and by clicking here for the close-up you can go directly to the 1.2 Mb file of this historic image. To the right is the second of this week's extraordinary images from NASA's newest Mars Orbiter. Mars Recon arrived at Mars in March of this year, after its launch on August 12, 2005. It spent the first 6 full months repeatedly dipping into the upper levels of Mars tenuous atmosphere in a manuveur known as aerobraking which gradually slowed its speed while also circularizing the orbit at the same time. It is only now beginning it's 2-year science mission, and if I had $100 to bet, I'd put it all on seeing a 4-year MINIMUM science mission before NASA even considers seriously cutting funding for Mars Recon. I refer you now to my original story on this mission for the full details on just how impressive this mission will eventually be. This is going to be one amazing mission! Click read more for some additional images and captions on this mission. TEACHERS TEACHERS TEACHERS! CLICK right for a link to LOTS of Education materials and activities. 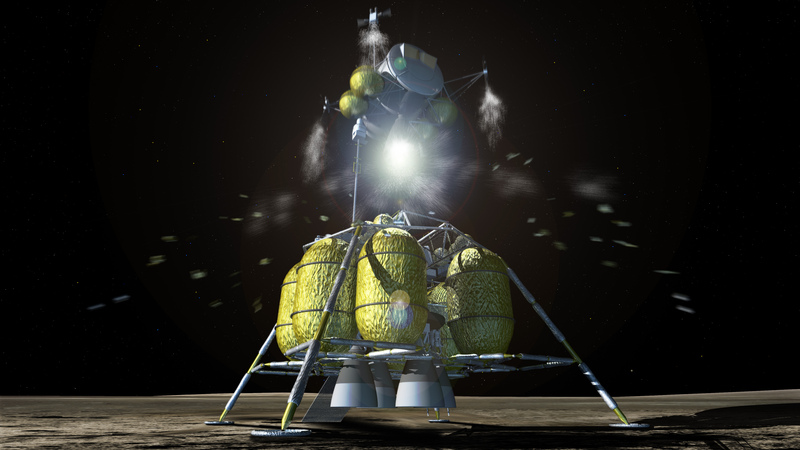 UPDATE: Lockheed Martin Corp. has won the contract to build the new crew vehicle for man's return to the moon. Click on the company's name to go directly to the Constellation website. New high-resolution images are clickable at the end of the first section of this story. We are considerably more adept at building rockets now than we were in the 1960's when we put the first man on the moon. 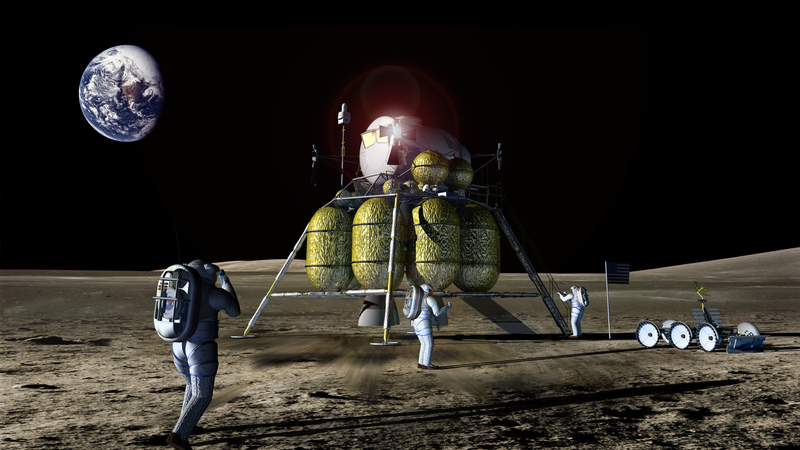 Will it be any easier, cheaper, or safer when we return to the moon again? I'm betting it will be! 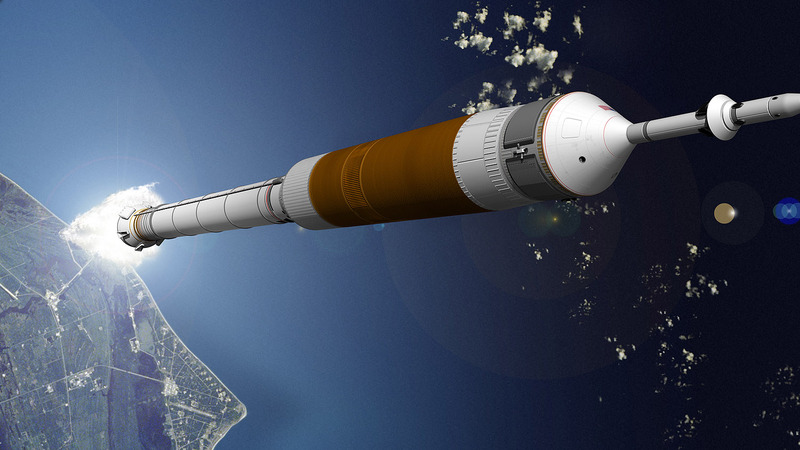 An artist's depiction of America's next generation of rockets are being designed for a return to the moon with manned missions. Their new names will reflect a little homage to the Apollo program. Top: The new Crew Launch Vevicle, recently designated as Ares I. 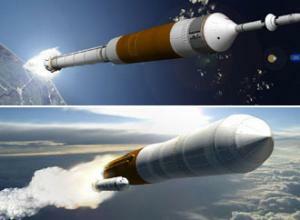 Bottom: The new heavy-lift Cargo Launch Vehicle to be known as the Ares V.
Heeere we go! At least we're hoping so. America's least science-friendly President wants America to return to the moon, but this time it won't just be for a short stay of a couple of days. When we do finally return to the moon, we'll be setting up shop, so-to-speak, so that we'll wind up with a bona-fide, long-term, manned moon base. And its about time, too, at least in my mind. 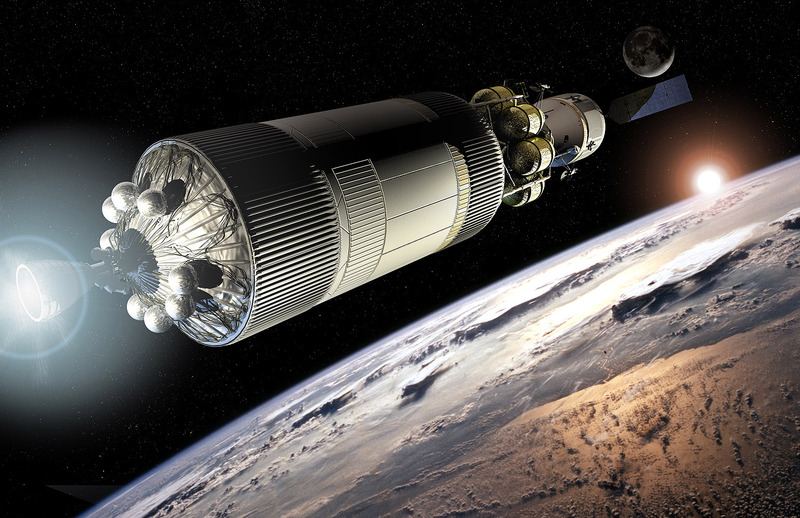 Cutting the Apollo missions of the 1970's put the brakes on a space science program that was providing huge amounts of information on how to travel safely, navigate and live in space, as well as revealing hints on the formation of how the moon itself came to be. From the materials returned to us by our Apollo program, we now believe that our moon was formed when the early Earth was impacted by a huge planetoid, something nearly the size of Mars. That glancing blow added a small amount of mass to our young Earth's original size, but the "splash" material from what was flung off during the impact gave us our moon. That material slowly coalesed as the moon, which at that early time was only orbitting a mere 40,000 miles away, about 5-6 times closer than it is now. That knowledge aside, the government bureaurocrats had little trouble in convincing the American public that since we had beaten the Russians to the moon in the Apollo era, there was no reason to continue pouring money into the most successful science program ever. Those rocks that we spent so much money to bring back hardly seemed worth the roughly 20-billion-dollar price, but what we learned about ourselves was unmeasurable. People may argue that other accomplishments besides Apollo are more important or successful for dozens of different reasons. It's a toss-up as to what is or isn't THE most successful program ever, but no one can argue that the motherlode of technological advancements that were given us from the early moon program was, and still is, astounding. Farther down the road after this upcoming return we will gain back even bigger dividends given enough time. This time it isn't a race, but does it really need to be a race before we jump on board as a science oriented society? 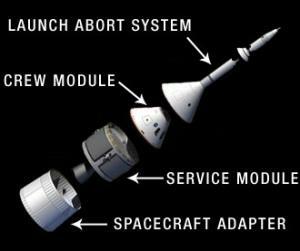 Similar to the Apollo crew vehicles of the early space program, the new Crew Module will be utilizing a Service Module for its fuel and life support essentials, but this time we'll use solar panels to generate most of the electrical needs instead of using the fuel cells that were responsible for the near catastrophe of Apollo 13. The biggest changes will be in the nearly double-sized volume of the new crew compartment. 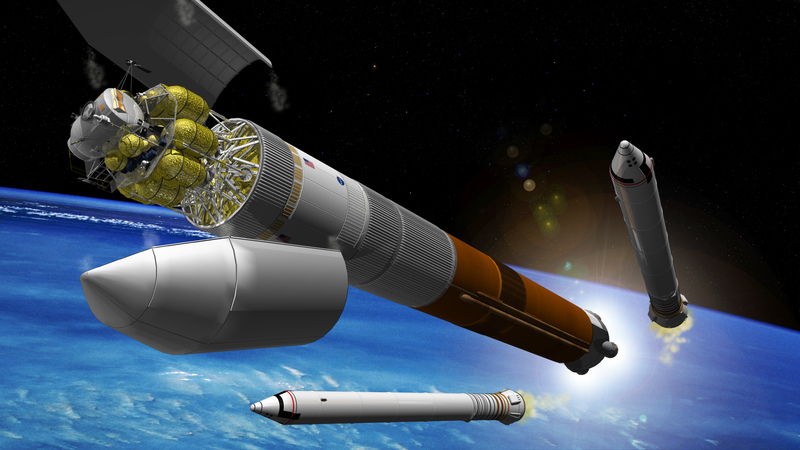 To be a little cliche here, we can discribe these new spacecraft that we'll use to return to the moon as being like the Apollo era spacecraft on "steroids". That's not very far from the truth, actually. The Crew Module that will carry the next generation of American astronauts to the moon will now hold up to 6 crew members, twice the Apollo capacity. The Lunar Module will allow for up to 4 crew members to touchdown on the Lunar surface. But that's about as far as the similarities go, however. The rockets that will propel the crew and hardware towards the moon are shown in the opening photograph. There is also an image comparing the sizes of the new rockets to the Space Shuttle and the original Apollo Saturn V rockets viewable by clicking "read more" near the end of Part One. The most obvious changes are seen in the lower portion of the two new vehicles. 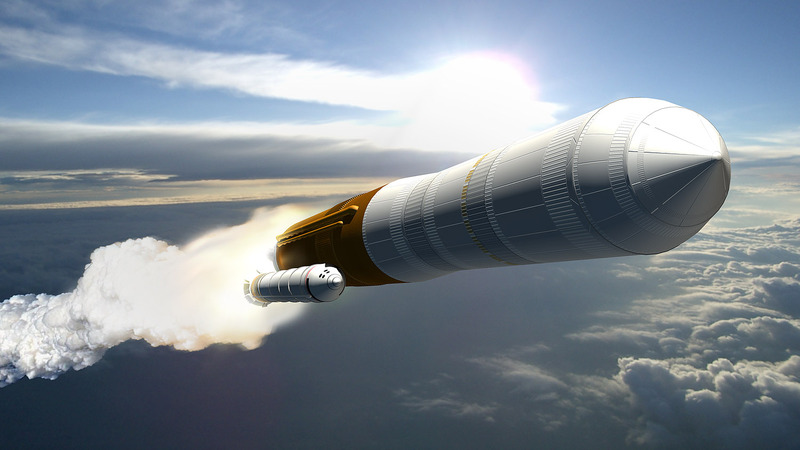 The Crew Launch vehicle, which has just recently been christened as the Ares I launch vehicle, sports a solid-fueled rocket first stage, with a liquid-fueled second stage to take the Crew Module on into orbit. The newly named Orion Crew Vehicle. The new Ares V Cargo Launch Vehicle. Approaching the ISS. Breaking out of the Cargo Vehicle shroud. Leaving Earth Orbit. 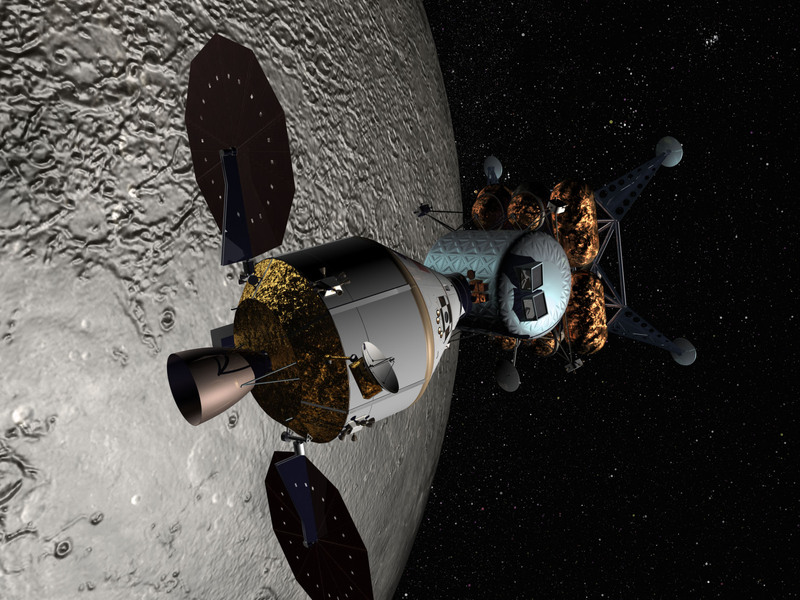 The Orion and Lander at the moon. The LSAM and crew on the moon. Leaving the moon in the ascent stage. Full-resolution images of New Launch Vehicles. Click read more for the rest of this two-part story.